What’s in a name? Do the emotions that a band’s name evoke influence your likelihood to like or dislike that particular artist’s music? And why am I even asking this question in the first place? Progoctopus, that’s why. This new progressive band from Birmingham have just released their debut E.P. ‘Transcendence’ and, so far, it is garnering some great reviews. However the band’s choice of moniker seems to be engendering some less than positive comments. I, for one, really like the name. There seem to be some rigid tenets in place for when you choose the sobriquet by which you wish to be known. Here we look at the three major ones. 1. Get a name that really stands out. Make it so it is memorable and creates a vivid image or evokes a feeling in the mind of the listener. Well the guys have certainly ticked that box for definite! 2. Get an unused band-name. 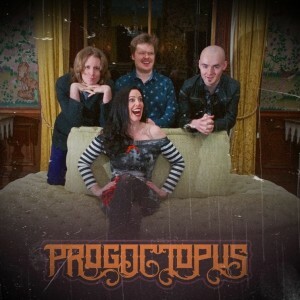 Well have you heard of another band called Progoctopus? Exactly, point two is in the affirmative. 3. Make it relevant to the genre. Progressive rock? Progoctopus? I think we can agree that that one is a definite yes too! On a more serious note, will the band name put you off the music, come on, of course not or, at least it shouldn’t. Aren’t we all open minded, won’t we give something a try before shunning it? I should bloody hope so. There is a hint of tongue-in-cheek japery about Progoctopus and I know the band are amused by, and love, all the discussion about the merits of that controversial handle. Enough dissection, it’s time for the usual history lesson because, if there isn’t one, it isn’t Progradar! 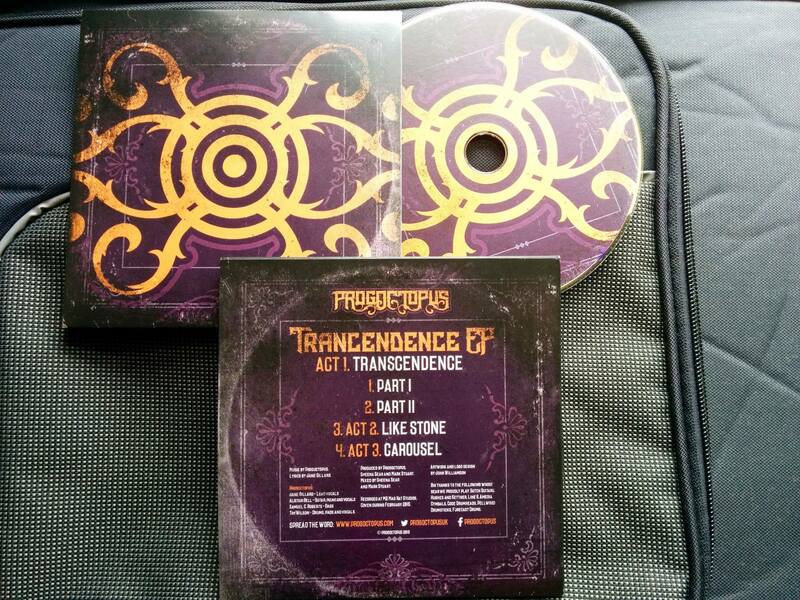 Formed in November 2014, Progoctopus are set to take the prog world by storm with their debut EP, ‘Transcendence’. 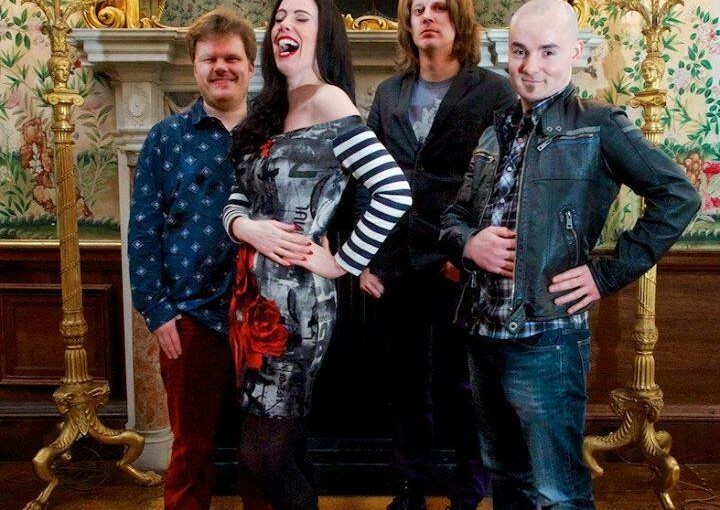 The band consists of Jane Gillard (vocals), Alistair Bell (guitars), Samuel C. Roberts (bass) and Tim Wilson (drums). “We’ve only been together a short time, but the ideas never stop flowing. The guys jam relentlessly and are seldom in 4/4” chuckles lead vocalist, Jane . With this debut EP, the band have married the traditions of progressive music with stellar contemporary musicianship and big production values in performance, song duration or tongue-in-cheek humour. 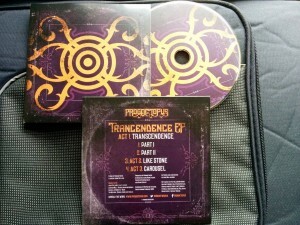 So onwards and upwards and time for the review of this four part E.P. More of the same with Part 2? I hope so, there isn’t enough fun in music nowadays. A kind of mystical, trance-like piece of music holds you in sway as the second part takes on a more laid back feel at first. It isn’t long before the full-blooded chicanery and tomfoolery return in full force though and this time with a much heavier edge to it, Jane’s vocal taking on a feel of Ann Wilson from the early days of Heart before they went all soft-rock on us. A squirelling guitar run and repetitive return to the enigmatic riff of Part 1 keeps everything flowing smoothly. The dynamic chorus and persuasive, forceful melodies come to head as the track runs out to an energetically heavy conclusion. A playful, more minimal aura surrounds the beginning of Like Stone. Acoustic guitar and chilled out drums play in the song before Jane joins the soiree with a gentle, nostalgic vocal that lifts you away on a gossamer thin cloud of celestial wonderment. Peaceful and refined it dances graciously along your synapses leaving you in a state of grace. A pleasant interlude from the prog chops of the first tracks. Now onto the longest track on the E.P. Running in at just over 9 minutes long Carousel bounds into the arena with a hook ridden melody and boundless energy. The first verse is delivered in a slightly subdued manner but with a feeling of a pent up vitality hiding in the background. Unleashed and set free, Jane’s diva like voice commands the whole track and gives it a vivid life of its own. The intrepid rhythm section provides an all-authoritative backdrop for the vocals and guitar to engage in a bit of offbeat, funky and jazz infused interplay. The middle section of the track sees the three guys head off on a visit to virtuosity-ville and show their undoubted skill-sets but, it’s when the impressive melodies and harmonies kick in that you just kick back and let an indulgent smile creep across your face. As the track draws to its conclusion you just get the feeling that the band are having so much fun producing this music for us and I applaud them for it. The way the track runs out to its final notes is just another gratifying part of this satisfying new entrant into the progressive world. One conclusion that you have to come to with Progoctopus is that there is a heartwarming love of life deep at the heart of this quirky English quartet and this comes across emphatically in the impish delivery of their music. Uplifting music for a sunny day that gives a rose tinted glow to anybody’s outlook on life. Come join the fun, you will never look back. “Music is the art of thinking with sounds, it is philosophy…..
Take a minute to read that quote and let it sink in, understand its very meaning. Even some of the music that is on popular radio and in the charts has a narrative at its heart, it is not all bubblegum pop (well, the majority of it is to be fair). In the musical world that I inhabit the writers of the songs are musical bards, they tell stories of love and happiness and of loss and sadness and these affect the listener deep to their core. It is a skill that few have but it can take over your world and move you to a different place where all that matters is the song. It isn’t just the words either, the music itself can take on a life of its own and affect you in just the same manner. The beauty inherent in an amazing piece of music can make you laugh, smile or cry in much the same way that a well written novel or piece of prose can. 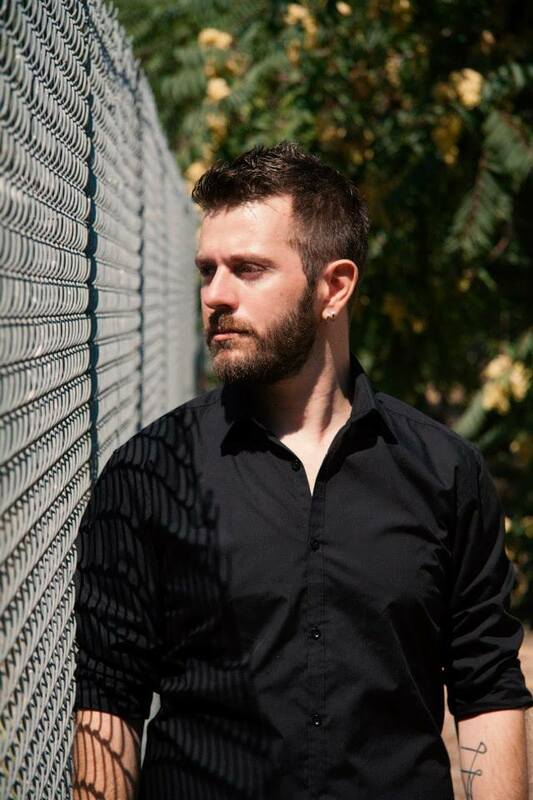 It was due to my friendship with ‎Linus Kåse of Swedish progressive giants Änglagård that I first heard about Methexis, the progressive rock project of Greek musician Nikitas Kissonas and discovered the two albums that have so far been released by this talented and eclectic musician. Who is he? I hear you ask well, let’s find out…. 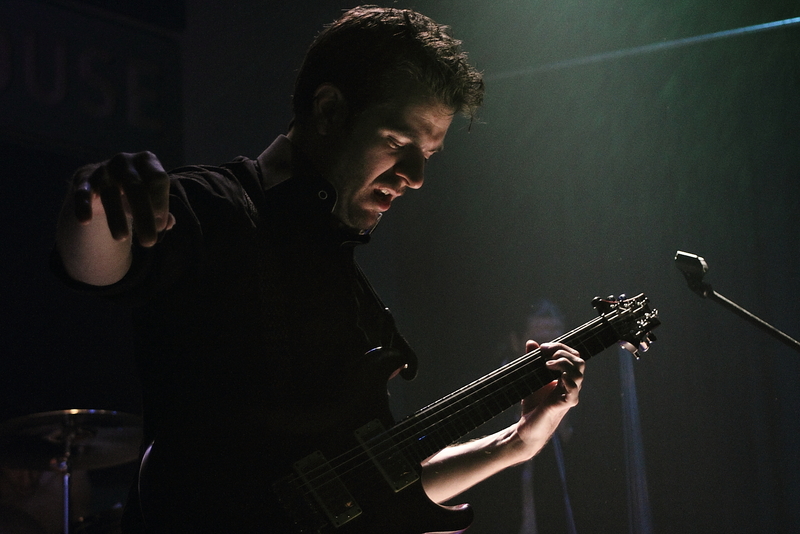 Nikitas Kissonas was born in 1980 and he is a graduated guitarist and composer. He works as a music teacher and has collaborated with many groups and in many and diverse performances. As well as the Methexisproject, in which he expresses his agony in the rock genre, he also composes contemporary acoustic music and he is hoping to succeed in marrying the two into something truly progressive. 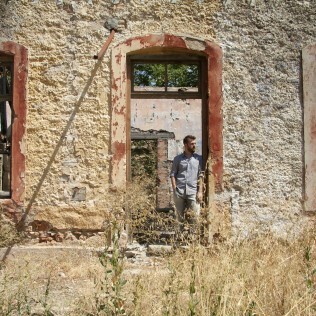 The Methexis project was created by Nikitas in 2011 following his need to record material he had gathered throughout the years while being a member of alternative Greek bands such as Verbal Delirium andYianneis. The debut album “The Fall Of Bliss” was released at the same year and Nikitas played most of the instruments except for the drums (Nikos Miras) and the piano on ‘Lines On A Bust’ (Jargon). 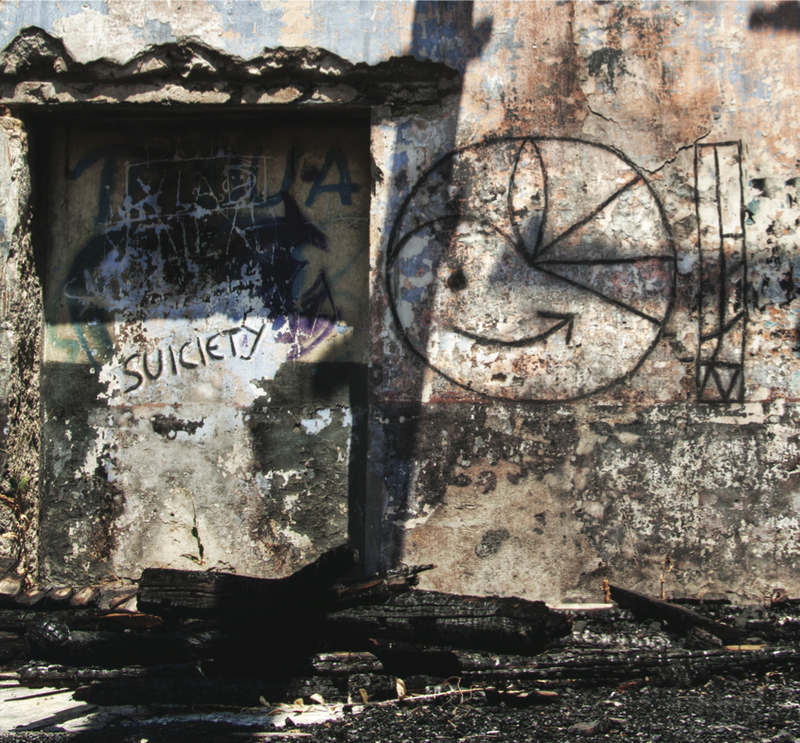 February 2015 saw the release of ‘Suiciety’, A concept album about the exterior influences a human gets from his childhood, the interior research for a guiding instrument, the exposition on a suicidal society that doesn’t listen to the clear warnings and the unavoidable collapse. The album features members of The Enid, Änglagård, Birds & Buildings, Agents of Mercy and Yianneis. A laconic introduction starts Eradicated Will, a coruscating guitar note ambling along before a slightly laid back, sardonic vocal begins. Very much in the vein of traditional progressive rock, there is also a dramatic edge to the song. Nikitas has a powerful voice with a slight affectation that adds to the drama. The keyboards add a sinister note to the track as it meanders thoughtfully through your mind, the delicate acoustic guitar adding a subliminal note that is lighter than the rest of the track. When the chorus erupts it does so with a forceful edge that adds to the theatrics, an excellent start to the album. 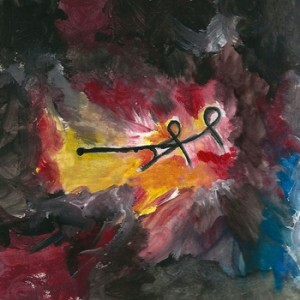 Poetic Mirrors Wound Heroes has an introduction that is all Muse to my ears with harmonised vocals and a classical edge before a strong bass line drags it along. The vocal section that follows is different, almost sounding like a computerised harmony but it works really well. Keyboards and bass are key in this track that really does run like a storyline as it glides along with its graceful demeanour. The intricate instrumental bridge is very 70’s prog and adds precision to the finesse of this engaging song. Those Howling Wolves sees Nikitas take on a more theatrical persona with the emphasised and enunciated vocals taking flight and becoming central to the performance. The music is more of a back up on this acoustical treat. Its benign and genial feel lulls you into a form of stasis as the keyboards run with a mysterious note in the background. You could quite imagine this being from a musical stage production with Nikitas central to the performance, almost musical method acting. As we get deeper into the track there is more substance added as the story fleshes out, the vocals become fuller and the music takes less of a back seat, joining as a fully paid up member of the cast. It becomes thought provoking with quite an intensive edge and the jazzy guitar solo is brilliant in its smoky meandering brilliance as it builds to the close. A seriously impressive track indeed. The piano introduction to Lines on a Bust is intricate and soulful, the vocals again giving the impression of musical theatre, Nikitas has a great vocal range and uses it notably here. You could imagine this being sung in a West-End show. It is full of fervor and zeal, having a rapturous appeal. Drums and bass are the dominant forces at the beginning of Track the Saviours before an edgy guitar riff takes us into the heart of the heaviest track on the album. One that has a diversive, chaotic note at it’s heart. Running along like a gleeful mad man with the histrionic vocals that teeter on the edge of sanity with an aura of dark humour. I like the slightly off-centre feel of the song, as if it has been allowed to run its own course, good or bad. The corrosive instrumental section is clever and adds to the feeling of not knowing what the hell is happening. Like a mirror image The Aftermath is a slow motion track with an initial sombre, restrained note to the vocals, guitar and keyboards. The vocals take on a more compelling note on the chorus, if still a little mournful. It is a song that has a central forlorn and dolent edge to it, a fragility that still has a dark beauty to it. The final track is the four part title track The Fall of Bliss which begins with the Intro which is a gentle acoustic guitar overlaying birdsong. Ethereal and gossamer like, it is charming and charismatic and leads you into Part I where the atmosphere darkens, pressing in to give a suspenseful feel. It erupts with a hard edged riff, powered along by the drums to give a turbulent edge before settling down into a more harmonised note. There is a slight supernatural ambience to the music, a semblance of the unknown as the vocals begin in a haunting fashion. Almost like a Gregorian Chant, they have a spiritual echo to them, enhanced by the disturbing organ note. The gloomy feel is all pervasive as we segue into Interlude, a low, slightly remote keyboard, reminiscent of a bassoon insinuates itself into your psyche. There is an organic nature to the music, it feels alive, as if it has its own intelligence and agenda. The guitar influenced passage that follows is vivid and forceful and that pseudo-bassoon runs into the final chapter, Part II. Demonstrative and profound, it is the crescendo that the whole track has been leading up to with heartfelt, passionate vocals and a wall of sound that washes over you leaving you numb in a profound manner. A discursive instrumental section follows, all distorted and erratic, like a lonely walk haunted by memories of the past. Almost painfully acute in parts it holds your attention as it runs on inexorably to the close. So, Methexis’ first album really grabs you, it is enlightened in a weighty and thorough kind of way and asks questions that you may not be able to answer. Darkly exquisite in places, ‘Suiciety’ will have to go some to top this consummate release. After his brilliant multi-tasking performance with ‘Fall of Bliss’ Nikitas Kissonas turned to some of progressive music’s luminaries for the follow up ‘Suiciety’. Whilst dealing with the music, lyrics and guitars himself he is joined by the enigmatic Joe Payne (The Enid) on vocals, Linus Kåse (Änglagård) on keyboards, Nikos Zades (Yianneis) sound design, Walle Wahlgren (Agents of Mercy) on drums and Brett d’Anon (Birds and Buildings) on bass. Going the wrong way round, it was ‘Suiciety’ that I heard before ‘Fall of Bliss’ thanks to a heads up from Linus and that led me onto the debut album. You’ve read my thoughts on that, now it’s time for the latest release…. Chapter IV – Ruins opens the album with a transcendental feel of spaced out music, like wind chimes in a breeze, ambient yet with an intelligence at its core. It is an eerie beginning, as if you are in stasis waiting for something to happen. This opens up with a synth sound that washes over you in waves, almost hypnotic in its delivery. Joe’s breathy voice lies just under the surface, barely audible at first before its unmistakeable expressive quality builds into something more substantial. It stays just out of your conscious reach as the track comes to a close. 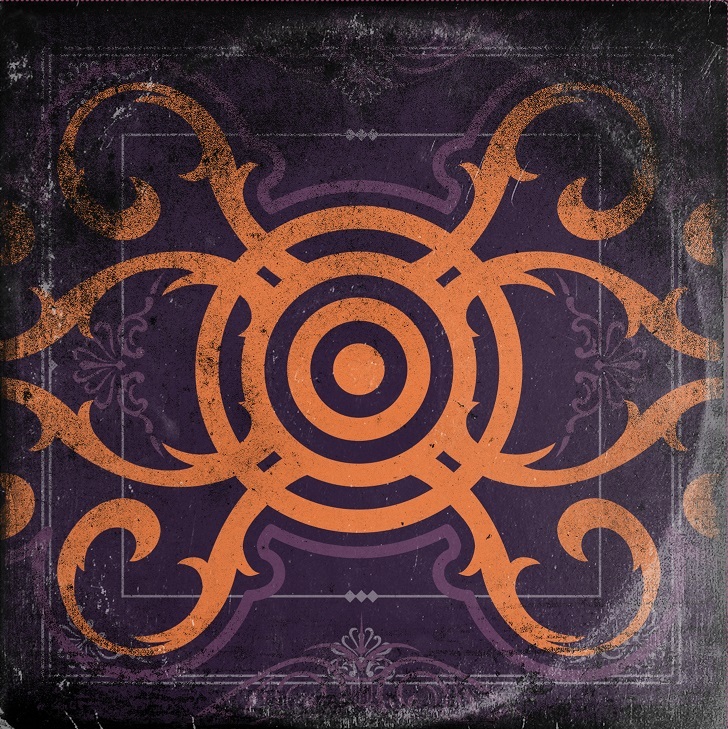 The five parts of Chapter I (exterior) begin with Remember fear’s a relic, a briskly strummed acoustic guitar heralds an upbeat, jazz infused track that springs along at a brisk pace. A sharp electric guitar leading into some really funky keyboards from Linus before Joe lets lose with his inherent theatrical manner. Mr Payne has a persona that can dominate but here he holds back a tad, still the effusive, energetic front man we know from The Enid but moulding his performance to fit the music. I really like Joe’s expressive vocal work, he takes what is best of the theatrical world and blends it perfectly with progressive rock music. The rest of the band appear to be having a blast on this energetic,slightly manic piece of music, like a free-form jazz session with added absurdity. The windows’ cracking sound is like a short interlude, a slightly off-kilter and disturbing piece of music which never lets you settle as it segues into Who can it be with its heraldic introduction which immediately grabs you. I love the feel it gives this song before it becomes all mysterious and dark. Joe’s vocal low down, is almost a whisper as he takes up the tale. There is a dark humour deep at the heart of this song, it leaves you with an itch you just can’t scratch. The flamenco style guitar section is neat and precise yet still sends a shiver down your spine, playing with forces unknown. Joe is giving a performance worthy of the stage, there is more than just a vocalist at work here, he is acting as well. It is a story to be told in music, in a dark disturbing, yet highly enjoyable way. That outspoken heraldic tone is at the heart of everything adding a lustre and wildness to this part as it comes to a slightly disturbing close. The Origin of Blame is where all bets are off and the sluice gates are opened. Joe is at the centre of this delightfully manic song, aided and abetted by the simple piano notes delivered by Linus. This track could have been written for the stage and Joe Payne’s ebullient character. He delivers an excited display of eccentric brilliance and musical drama that just makes you smile. The segue into Prey’s Prayer is neat and precise and the striking guitar work of Nikitas takes over with an undulating delivery that just bleeds emotion and remorse. The bass play is calm and collected and adds gravitas to this serious piece of music. A quite beguiling instrumental that seems to have a tender yet melancholic soul to it. The three parts of Chapter II (interior) begin with Sunlight and its wild-west tinged introduction, all Duane Eddy guitars and atmosphere before the guitar takes on a classical note and Joe’s tender vocal interjects, waxing and waning in compliment to the gently played guitar. It has a lightness and airiness to it which is enhanced by the seductive strings. Around the middle of the track it takes on a pure 1970’s progressive feel with guitar and bass work that Steve Howe and Chris Squire would have been proud of. Linus adds in his inimitable skills with the ivories and you end up looking for the floor length capes and Mellotrons to arrive. It is quite a compelling piece of music, gripping and riveting that leaves you slightly non-plussed as it comes to a close. The next part, The Relic is, in my mind, the best track on the album, if not the best song that Nikitas has written full stop. A low key introduction of a subdued guitar leads in an emotional vocal backed by sumptuous strings that just left me mesmerised. The piano then adds a subtle grace to this imperious song. It builds, layer upon layer, becoming more intensely exquisite with each note that is played and each line that is sung. Joe gives his most polished performance yet one which is also his most restrained and it fits the guileless, sincere feel of the song perfectly. A crescendo like instrumental interlude threatens to break the calm before it is gently brought back by the simple charm of the acoustic guitar and piano. They are joined by a searching violin note that really fills you full of emotion and then leads you to the closure of this stunning song. 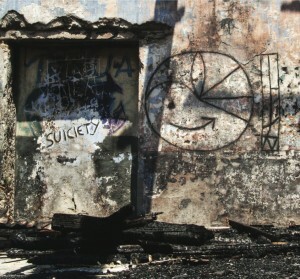 Chapter III – Suiciety is the final song on the album and begins like an industrial dance track, a song in the style of The Prodigy. To be honest it feels out of place at first after the charm of the previous track but, give it time, and you come to appreciate its intricate, complex rhythms, eventually breaking out into a darkly mysterious piece of music. The strings add that note of warning before the brass section delivers a really chilling yet exciting part of the song that has an icy determination to it. It becomes quite a spine-tingling piece of classical music that has you hanging on every note with its basic raw feel. He pulls no punches does Nikitas Kissonas and he is an extremely talented musician. I thought it would take something special to improve on ‘Fall of Bliss’ and he has delivered something quite marvellous. Aided by some superb musicians and a vocalist who has the skill and inherent ability to deliver everything needed, what we actually have here is an outstanding musical release that is up there with the best of them…..
Pictures of Nikitas courtesy of Artemis Schubert. Artwork for ‘Fall of Bliss’ by Dimitra Papadimitriou. Artwork for ‘Suiciety’ by Artemis Schubert and Nikitas Kissonas. For those of us that feel music like we feel the blood in our veins, it is something we cannot live without. Music follows me on every journey I make, music accompanies my moods perfectly, be it happy, sad or just melancholy. I could not imagine my life without the joy of listening to music being core to it. Like most people my life has been like a sine wave, peaks and troughs of highs and lows and I have learned to cope with the lows and appreciate the highs more and more because of the music that I listen to. Four years ago I went through the darkest period in my life. I won’t go into it in any detail as that is not what I am writing about but, suffice to say, I looked deep into my own soul at times and didn’t like what I saw. What kept me going through the sleepless nights, the broken heart and the soul searching was music, music to soothe my soul, music to lighten my mood and music to make my heart soar. It was at this point that I took a real, deep seated interest in what has since become my favourite band, English progressive rock band Big Big Train. 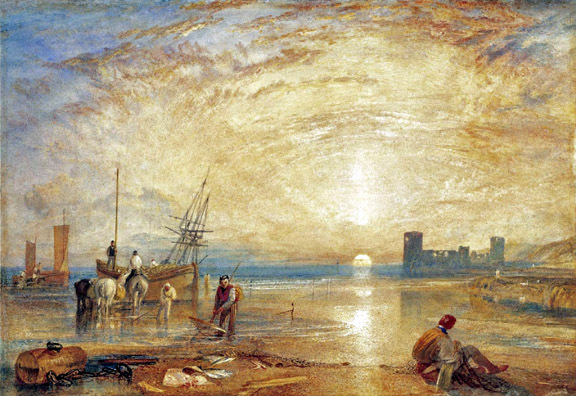 I had touched on ‘The Underfall Yard’ briefly before but it hadn’t immediately connectedÂ with me. By lucky happenstance I was listening to morow.com when they played ‘The First Rebreather’ from the band’s album ‘English Electric Pt1’ and the rest, as they say, is history! 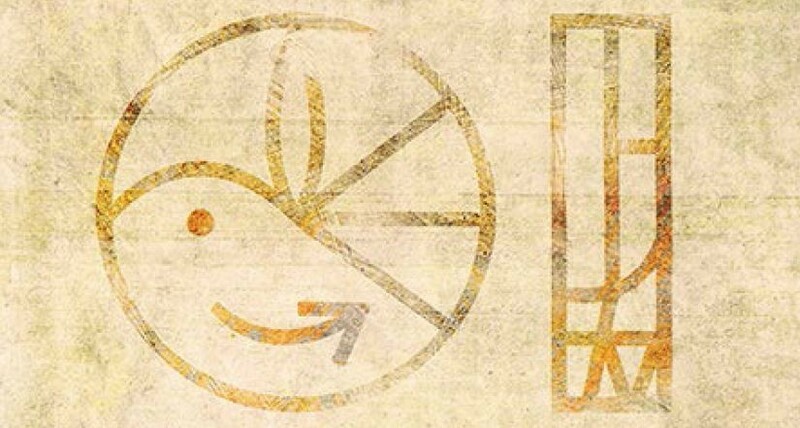 Their unique take on traditional UK progressive rock, infused with historical traditions and a real heart of its own has always resonated with me since and the amazing ‘Curator of Butterflies’ from ‘English Electric Pt2’ picked me up when I was down and out so many times during that bitter and melancholy part of my life, it kept me sane. We can’t have a Progradar review without some background to the band. Here I will make it short and sweet as, earlier this year, I did a potted history of the band. Big Big Train were formed in 1990 by Andy Poole and Greg Spawton and have, up to date, released 9 full albums (if you include ‘English Electric – FullPower’) and, with the release of ‘Wassail’,three E.P.s. Over the last 25 years they have established a respected place on the UK progressive scene. 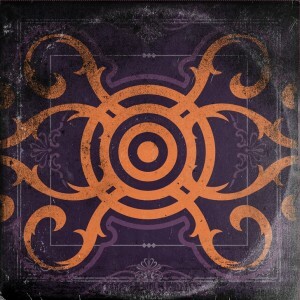 They have honed their sound over the years to feature rich arrangements, a mix of electric and acoustic instruments and an amalgamation of influences from post-rock, folk, classical and pop. 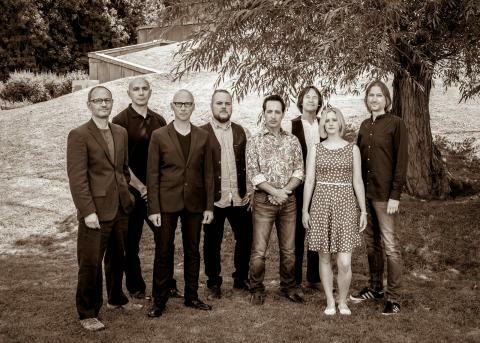 After a few changes over the last quarter of a century, the band’s full line up now includes, in addition to Greg and Andy, David Longdon (vocals),Nick D’Virgilio (drums), Dave Gregory (guitar), Danny Manners (keyboards), Rikard Sjöblom (guitar,keyboards) and Rachel Hall (violin) and it will be this eight piece band which will play Big Big Train’s first live gigs in seventeen years at Kings Place in London in August this year. In addition to ‘Wassail’, later this year, the band will be releasing a DVD/Blu-Ray of live performances filmed at Real World Studios last year entitled ‘Stone and Steel’ and have begun work on a new album called ‘Folklore’ which is scheduled for release in early 2016. 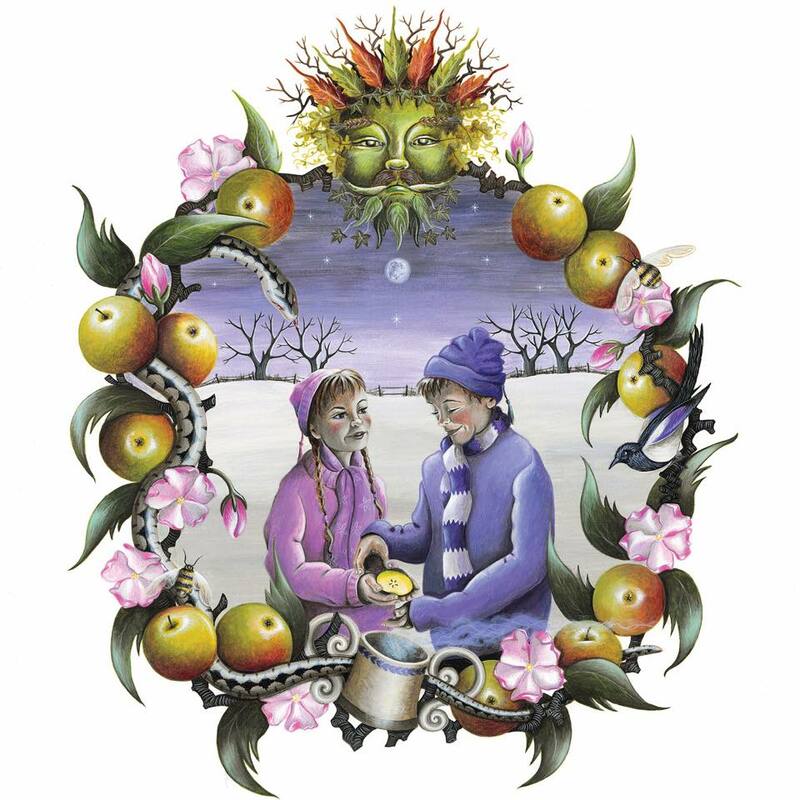 Wassailing is a traditional ritual from the West of England, dating back to early medieval times, to wake the cider apple trees and scare away evil spirits by banging pots and pans and firing a shotgun overhead, thereby protecting the harvest later in the year. Much singing and drinking takes place as part of the ceremony…….. The first of the three new songs on the E.P. and the title track, Wassail begins with a dynamic guitar and flute combination, enhancing a feel of powerful folk infused progressive rock. When David Longdon’s eminently recognisable vocal kicks in it does so with that polished timbre that we have come to associate with this mercurial singer. The guitar, bass and drums are polished and immediately resonate with you. All the harmonies intertwine with Rachel’s charismatic violin and the mould is set for another exquisitely melodic and anthemic offering from this most iconically English of bands. The chorus and repeated chant of the title is powerful and catchy and I find myself singing it at the top of my voice as the keyboards swirl around catching your imagination. Yes, on this track, the band do seem to have definitively heavier folk leanings but temper it with a touch of the usual Big Big Train magic to deliver something that is recognisably an evolution of their trademark sound. The break in the middle of the track where the violin seems to plead with your senses and David’s voice holds a feel of longing and desire is as good as they come and heralds a superb instrumental section that makes the hairs on the back of your neck stand up. Potent, compelling and intense it should be an absolute winner in a live setting and the stylish close out to the track is quite sublime. 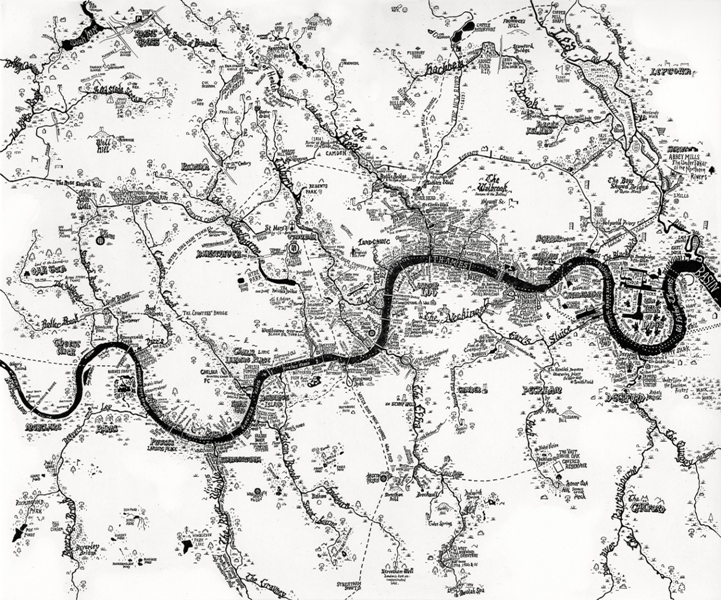 Beneath the streets and buildings of the capital, a number of ancient tributaries of the Thames have been buried. 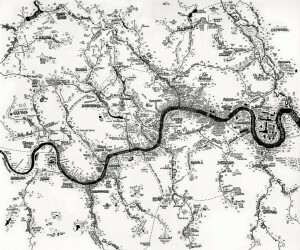 However, as writer Tom Bolton has said, it is hard to stop a river from flowing and the tributaries are still there running under the ground down to the Thames. Another newly released track, Lost Rivers of London is an evolution of the band’s idyllic and singular ‘pastoral’ sound. The introduction is a collection of enchantingly played notes that dance lightly across your senses immediately invoking sepia tinged memories of unspoiled and picturesque days of yore. Immediately surrounding you in a protective cocoon, you are left to enjoy the musical delights to follow. The vocals are perfectly balanced, lilting and lulling, mesmerising you with their velvety smoothness, the harmonies quite bewitching in their brilliance. In places David’s voice soars up to the heights infused with a potent dynamism, it is the centre of this superb track around which everything else orbits. Just when you think the musical inventiveness has run its course, this talented band throw in another curve ball with some intricate guitar work and a jaunty medieval tinged flute note. I love the wah-wah pedal style of the guitar and the evocative keyboard notes, they addÂ a real sense of fun to proceedings. For me, this is the best song on the E.P. and one of the best the band have done with superb musicianship and a vocalist at the height of his power, I am left open mouthed in admiration as it comes to its stylish close. 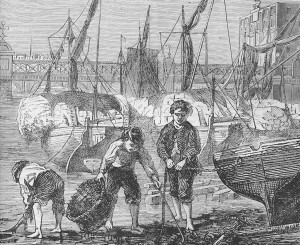 Mudlarks were 19th century scavengers who eked a living from the sale of anything they could find in the mud of the River Thames at low tide. Modern-day mudlarks search the foreshores of the lost rivers that flow into the Thames, hoping to find traces of London’s history. The third and final new track is an instrumental entitled Mudlarks which begins with a delicate piano and elegant keyboard, neatly joined by an articulate violin, the sound is very reminiscent of classic 70’s progressive rock with a modern touch as you catch little fillips of the flute dancing around in the background. There is a feel of something building as strident guitar, bass and drums join the throng, a quite jazz infused feel to the early parts of the track. It is here that Danny Manners’ talkative keyboards joust with Greg’s measured bass to add layers of sophistication. The whole song mesmerises and hypnotises as it rises higher and higher, the superb interaction between the two guitars of Dave and Rikard just roots you to the spot as they weave more and more complicated spirals around your psyche. Intricate yet immensely accessible and satisfying it comes to a rewarding conclusion that leaves you lost in thought. “Master James of St. George, of the fields and the sky. He used to build castles of stone, steel and blood. To finish the E.P. we are treated to a live version of Master James of St. George, first released in 2009 on the band’s 6th studio album ‘The Underfall Yard’. A firm favourite with fans from the start, this track is one that grows and grows from fairly humble beginnings before it takes over your whole being. That dainty little drum roll that has become instantly recognisable opens the track before the subtly meandering guitar entwines itself around the song. Enter Mr Longdon stage left with his lush vocal delivery raising and lowering as if wafted along on a cloud. There are subtle differences between this live version and the recorded track, as you’d expect. The strings are more pronounced and the vocal pairings have an added lustre to them. The soaring treatment of the verse is uplifting and takes your heart with it. I have always liked the way that this track seems to be founded on building blocks that have a real solidity yet it has an ethereal quality to the music in parts, especially on the elegant guitar runs. All in all just a delightful version of a song that was already well loved by the fans and this version just redefines its splendour. This version of ‘Master James of St. George’ is a powerful performance recorded live at Real World Studios. You can put your heroes on a pedestal to be knocked off when they don’t reach your lofty expectations but, with ‘Wassail’, Big Big Train have just enhanced their reputation as purveyors of unique and sublime progressive rock which is founded on the elemental history of this blessed isle. A history that is fundamental to the everlasting allure of this captivating group of musicians. Order the CD version of the album and you get a brilliantly packaged CD with the striking artwork of Sarah Ewing which just adds to the whole experience.